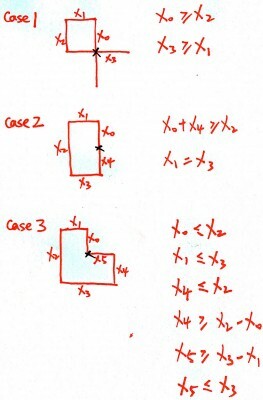 This problem can be easily solved if the three self crossing cases are summarized well. Here are the three self crossing cases. There are no other self crossing situations based on the restrictions of counter-clockwise. Writing the solution is straightforward once the 3 self crossing cases are identified. I think there can be more scenarios. what do you think?